How can Obamacrats continue to ignore, minimize or even justify Obama’s ever escalating ILLEGITIMATE drone warfare? Illegitimate war waging is the HIGHEST war crime. Apparently in this election year, “Shhhhhhhhhhhh.” Don’t begin to call out a Democratic President for throwing out international law for what Glen Ford of Black Agenda Report sees as Obama’s drive for “full spectrum dominance” over the planet. Excuse me for uttering this question but wasn't that what Hitler was ultimately challenged for? When if ever will Obama be? Not easily in Post-Morality America. Of course not, in the smoke and mirrors “lesser evilism” propaganda for one of the two heads of really one amoral corporate party. Propaganda by big media especially the so-called progressive Obama hucksters on MSNBC leading American lemmings horrifyingly to turn a blind eye and deaf ear to the terrorism this United States is inflicting all over the globe for corporate agendas NOW. Instead of panicking people about what will happen internationally if a Republican gets at the helm, why not take a hard look at what Obama is doing internationally? In the style of a Old Testament Prophet, Chris Hedges decries the coming capitalistic totalitarianism and urge activists to promote democratic socialism. Journalist Chris Hedges discusses the dramatic rise of a post-literate society that craves fantasy, ecstasy, and illusion as illustrated by the life of pop star Michael Jackson. 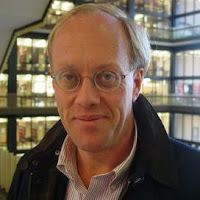 Chris Hedges, author of "War Is a Force That Gives Us Meaning," is currently a senior fellow at The Nation Institute and the Anschutz Distinguished Fellow at Princeton University. He writes for many publications, including Foreign Affairs, Harper’s, The New York Review of Books, Granta, and Mother Jones. 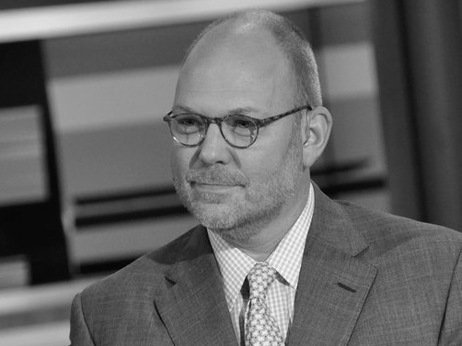 He is also a columnist for Truthdig.com. Students and other members of the Santa Monica College community were cruelly pepper-sprayed this week for trying to participate in a public meeting about the sky-rocketing tuition costs for public higher education that are about to be imposed on them. They are heroes for standing up for this imperiled foundation of our economy and our democracy. Specifically the students were voicing their objections to the proposed quadrupling of fees for many summer courses through a so-called "Two-Tiered Tuition" system. This comes in the aftermath of decades of tuition increases across the country which have made a college degree as much as ten times as expensive for students compared to just a generation ago. Most college students are going into deep debt to pay these high costs already, with roughly 30 million students and recent graduates struggling to repay college debt amidst desperately high unemployment rates for recent college graduates. It may seem insensitive to blog about the evil savagery of war (called out profoundly in a recent article by Pepe Escobar) on Easter weekend, when millions of Christians are celebrating the death and resurrection of the extraordinary unconditionally open-hearted historical figure of Jesus Christ. However, to me it seems particularly appropriate considering most American citizens' (reflecting their amoral leadership’s) capacity to talk the talk of religious sentimentality and their incapacity to walk the spiritual walk role modeled by Jesus. Commitment to promoting universal love, cooperation and partnership? Little evidence of such commitment in the United States. Clearly Jesus has been massively forsaken by Americans. Certainly not words Americans heed. No gentle place for Jesus in the hearts of darkness of most Americans, whether leaders or plain old average citizens, when it comes to the welfare of foreign fellow humans. Sometimes it helps to take a step back from the everyday pressures of research (falling ill helps). It was in this way we stumbled across Hansen et al (1981) (pdf). Green Party presidential candidate Dr. Jill Stein calls out the Obama administration that the transfer of wealth to the 1 percenters is still happening despite statistical spin over minimal incremental number shifts in jobs reports. Growing citizen impoverishment continues despite election pr-hype from both of the legacy parties. Stein is offering a serious Green New Deal to loosen and eliminate the merciless grip of greed of the 1% dooming the balance of the 99% not there already, to a life of poverty. Stein accuses both Democrat and Republican leaderships of coaxing the citizenry to ignore the unignorable at its own peril. Stein warns citizens to be especially wary of Obama spin today on the 2012 first quarter federal jobs report. After all, she points out, we are facing down three decades of “flatlined wages and purchasing power” for American workers as CEO incomes continued to obscenely shoot upwards. The “Stolen Decades” began in the 1980s and they are in no way ending under the present administration Stein declares. Jimmy Williams used to lobby for the powerful National Association of Realtors. He tells us about the steady flow of donations that Congressmembers need, and how he wants to take down the crazy campaign finance system. Peter Schweizer explains how members of Congress profit from insider trading and use their political influence for their own financial gain. 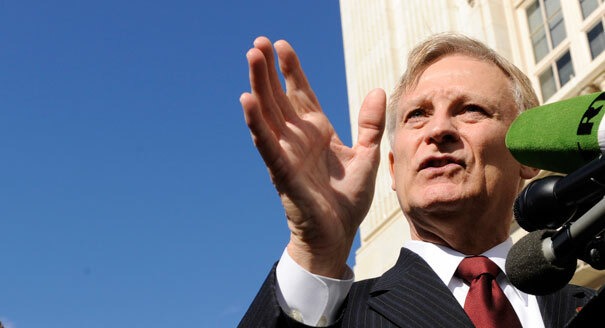 He reports on several current members of the House and Senate who have affected votes on bills or gathered information from briefings to benefit their financial portfolio. Peter Schweizer is the author of several books, including Reagan's War: The Epic Story of His Forty -Year Struggle and Final Triumph Over Communism. He was a consultant to the Office of Presidential Speechwriting in the White House from 2008-2009 and is currently the William J. Casey Fellow at the Hoover Institution, Stanford University. Pulitzer Prize–winning journalist Seymour Hersh is responsible for exposing many of the biggest stories in the 20th century, and he is still hard at work. 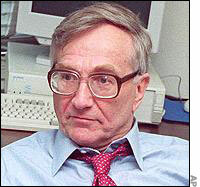 Hersh alleged that senior officials were waging a crusade overseas, protecting Christianity from the Muslim. The natural gas business is booming, sometimes with deadly results. Host Bruce Gellerman sniffs out the cracks in the nearly two million miles of pipeline that run under our cities. There are more than a third of a million miles of natural gas transmission pipelines in the U.S., and more to come. But sometimes they rupture, devastating homes and lives. Bruce Gellerman speaks with investigative blogger Frank Gallagher, editor of NaturalGasWatch.org, about the hazards of this vast system. Bradley Manning is being “crucified” for our sins. For the sins of us American citizens, many of us of limited courage, conscience and/or consciousness. He is also being persecuted -- the torturous “killing of the messenger” -- for the appalling and vast sins of the amoral rulers of this country, who are responsible for gratuitous (although they don’t consider them gratuitous if there are corporate profits involved) massive deaths and massive suffering of human beings around the globe. Dr. Jill Stein is the Green Party front runner for President. She is a graduate of Harvard Medical School. She has over 25 years' experience as a doctor. Dr. Stein campaigned for single payer health care when she ran against Mitt Romney for governor of Massachusetts in 2002. …, Americans will still be stuck with an expensive, ineffective health care system that fails to provide quality health care to all Americans. The mandate that every American buy expensive, inadequate health insurance is a scheme developed by Republicans and foisted on the nation by Democrats. The winners are the health insurance companies. A Stein administration will make health care a right while eliminating the enormous waste, bureaucracy and negative health impacts of the current health insurance mess. Justice for Trayvon Martin in Spite of Not Because of Obama! The following are provocative excerpts from two columnists of Black Agenda Report calling out Obama and the black political class for not doing right on behalf of black Americans and, in particular, not being seriously committed to finding real justice and reform for such tragic cases as Trayvon Martin’s. So Obama does what he has been doing for years now. He is the black but not so black man, and all black people are worse off because of his success. If there is justice for Trayvon it will be in spite of Barack Obama, not because of him. Women’s Health - Who Decides?